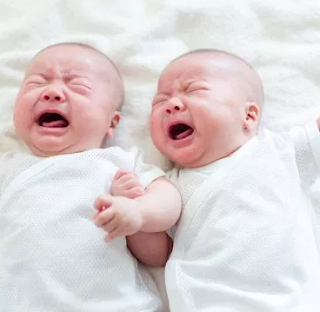 Chinese woman has given birth to twins from 2 different fathers, an indication she had been cheating on her husband. The woman had a set of twin boys but one of the boys didn't look like the woman's husband. A DNA test showed that they had different DNA. This increased the husband's suspicion and the woman was forced to admit that she cheated on her husband in a one-night stand. The husband, identified only as Xiaolong, had wondered why one of his sons didn't look like him. Upon receiving the DNA results, he was even more shocked at discovering that one of the boys did not have any biological relationship with him, according to a director at the Fujian Zhengtai Forensic Identification Centre. Twins being born with different fathers is an extremely rare occurrence, known as heteropaternal superfecundation. According to experts, the exact odds of the phenomenon are hard to calculate, but previous studies suggest the chance could be between one in 400 pairs and one in 13,000 pairs.